All CITYPLACE TOWNHOMES homes currently listed for sale in West Palm Beach as of 04/21/2019 are shown below. You can change the search criteria at any time by pressing the 'Change Search' button below. 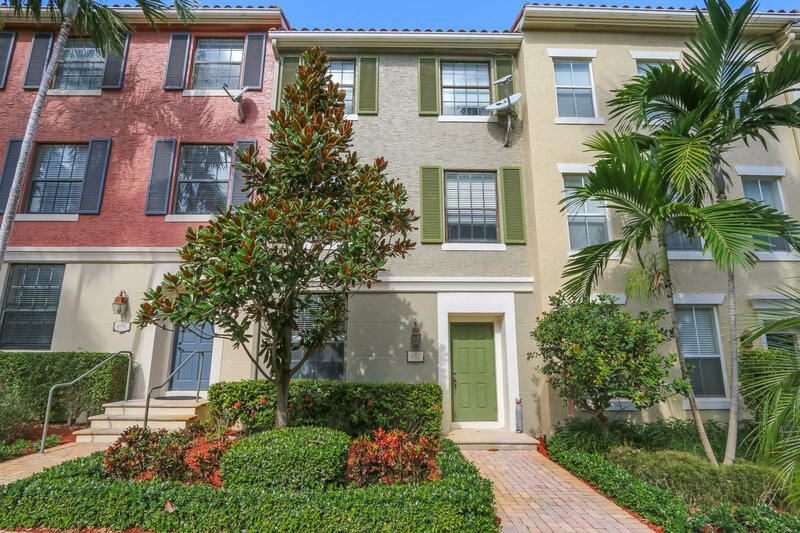 "Come see this gorgeous downtown West Palm Beach townhome in the gated & tranquil enclave at CityPlace Townhomes. Walk to everything! Just steps away are: Publix, Clematis restaurants and nightlife, the Brightline station & more. On the first floor, you'll find the 3rd bedroom, updated half bath and full size 2-car garage. On the middle floor is an upgraded kitchen with granite countertops, maple cabinets, breakfast area and spacious living room. On the top level is the master and 2nd bedroom, each with ensuite bath and lots of natural light. Real wood floors throughout! Entertain your friends & relax by the community pool. Furniture not included in list price, but negotiable."